 We offer our clients the convenience of placing orders online. and click on the "Sign Up" link. 3. You will be greeted by a message that reads: "Thanks, We've created an account for you and emailed you your password. 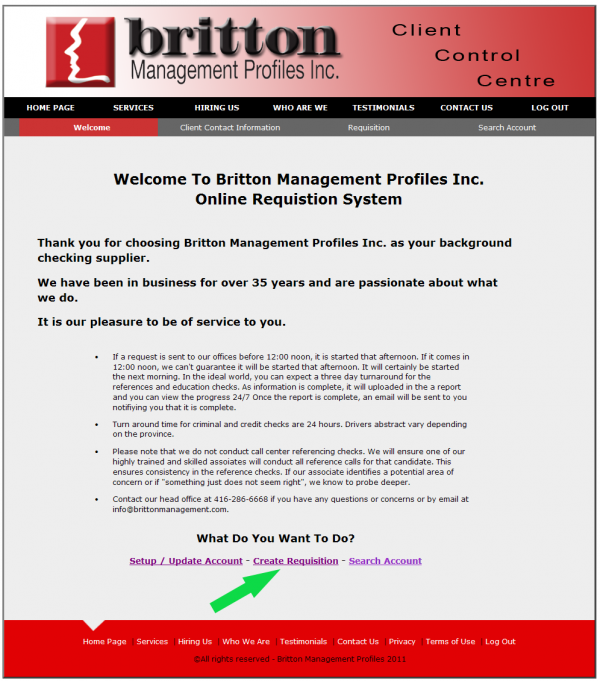 If you don't receive an email from us within a few minutes check your spam filter for messages from info@brittonmanagement.com! 4. Within a few minutes, you will receive an e-mail containing your Username and temporary password. 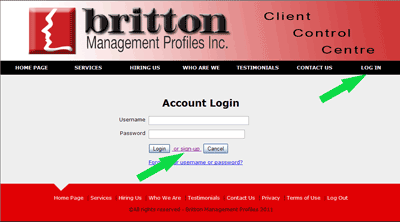 Once you have the e-mail from us, click on Log In again to enter your Username and Password as shown in the e-mail. so that you know what to expect. When you are ready, click on the link "Setup Account for Approval". 6. You will be taken to a Client Contact Information screen. 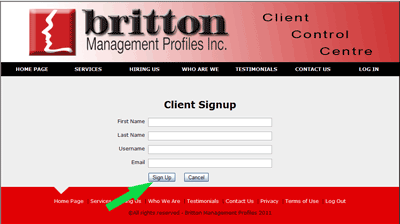 In the first section, "Client Contact Information",confirm your first and last names are correct, as well as your Username and E-mail address. Enter it into the box on the left. Re-enter the password into the box on the right to confirm it. 8. Once you have entered all the information required, click the "Save" button. 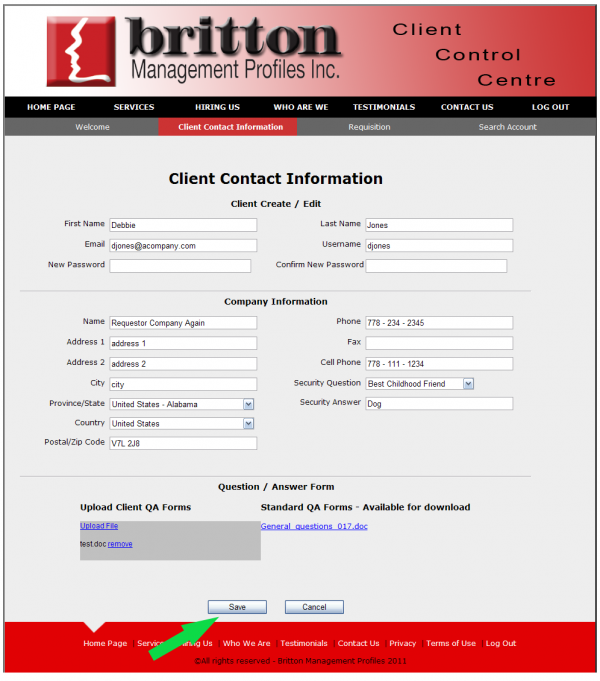 You will be contacted personally by a Britton representative within 24 hours. Once your account has been validated for full access, you will be instructed to log back into the Client Control Center so you can fill out a Requisition Form to place an order. 9. Once again you will be greeted by the Welcome page where you click on "Create Requisition" to begin. 10. Please create an account to see the rest of the instructions in this guide! don't hesitate to contact Britton Management Profiles at 416-286-6668 or info@brittonmanagement.com!. When you need factual information and accurate assessments on a comprehensive profile...We deliver.